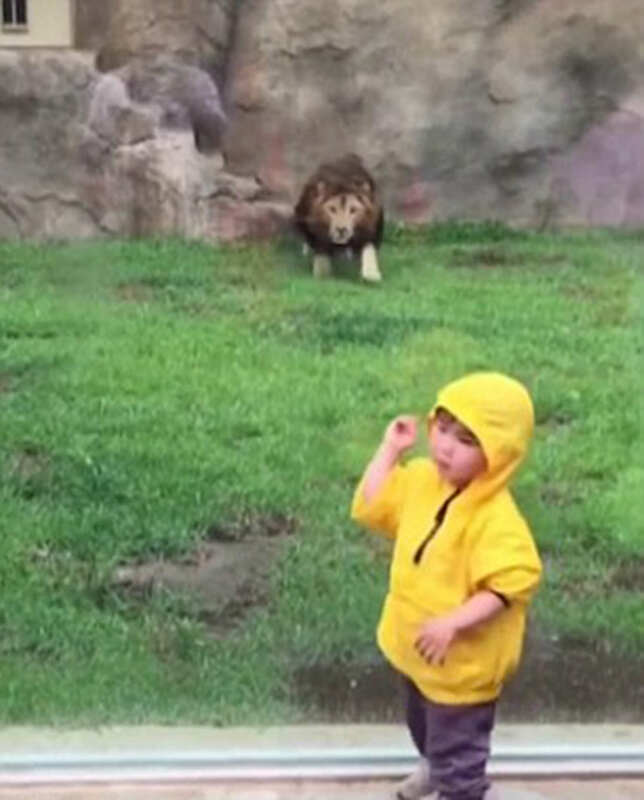 This is the terrifying moment when a big cat tries to attack a toddler, but gets stopped/halted by the glass separating him from the outside world. The lion slammed its head straight into the enclosure’s glass wall after lunging at the two-year-old as soon as he turned his back. This happened in a zoo in Japan. The lion had been locked in a staring contest with the young boy, when the kid finally looked away the big cat took the opportunity to attack before slamming itself straight into the enclosure glass wall. Zookeepers, however, claims that the lion’s ‘attack’ wasn’t a sign of aggression and he apparently does this quite a lot with kids because he wants to play with them.